Make your baby's hand and foot prints! Prints of your little one's sweet hand and foot is a cute gift for grannies! Choose a time when your little one is in a good mood and paint your baby's hand and foot with non-toxic paint. Press onto the paper. Don't worry if you make a mistake, simply wash your little one's hand and foot and try again. 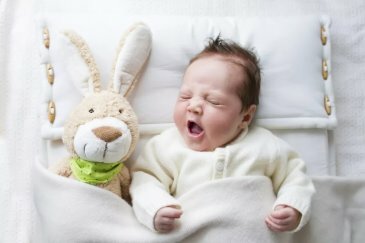 Write down your baby's name and the current date on the sheet of paper. Hang the craft on the wall or give it as a gift to grannies. Make photos of the process and upload the collage to the App. Write some words about your baby's impressions. 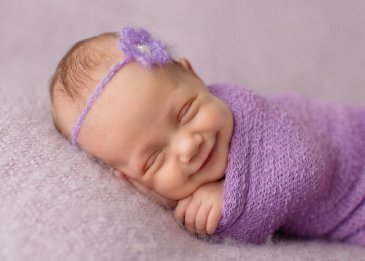 Make a photo of your child! 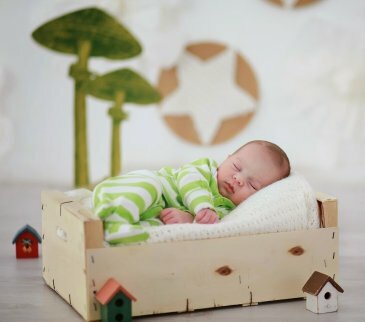 Arrange a professional photo session for your little one! 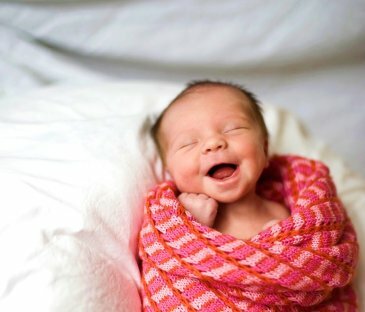 Make a photo of your baby's first smile! 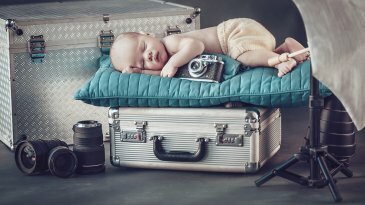 Arrange a photo session for your baby! 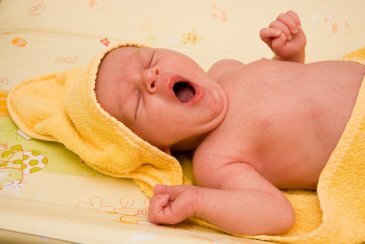 Make a photo of your sleeping baby!